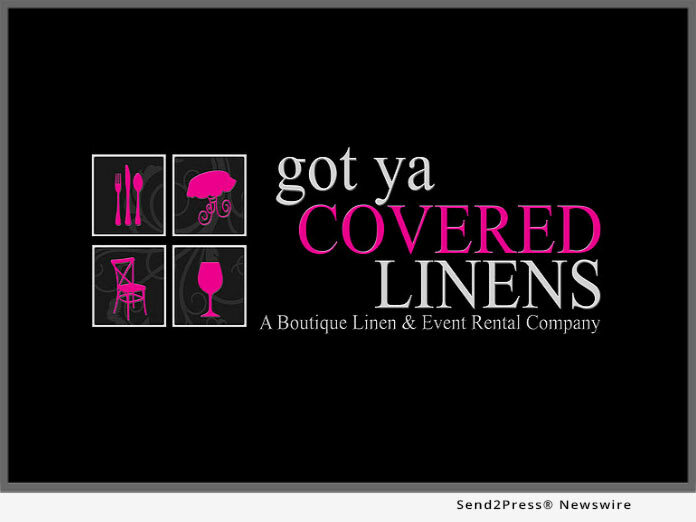 WORTHINGTON, Ohio, Jan 25, 2019 (SEND2PRESS NEWSWIRE) -- Got Ya Covered Linens and Event Rental will offer the community a grand opening party to showcase their new showroom inside The Shops at Worthington Place on January 30, 2019. The enclosed mall is the perfect place to display all the hundreds of decorative rental items they have to offer, and inspire guests to explore ideas for their upcoming events. Emily Kreindler, operator of the Columbus location, states: "The wide open, brightly lit space is laid out in an easy-to-view format, providing creative display ideas and a dressing area for planners, designers, brides and other customers to create a picture-perfect event." The Shops at Worthington Place is located in the established affluent bedroom community of Worthington, outside of Columbus, Ohio. This "Mall" mainstay has been servicing the community for four decades. Polished and refurbished in 2011, The Shops at Worthington Place was one of the first, and is now the premier hassle-free, indoor boutique shopping complex in the Columbus marketplace. The center is built on 20 acres of mixed-used site with 130,000 square feet of retail and restaurant space, 10,000 square feet of office space, and 55,000 square feet of grocer.